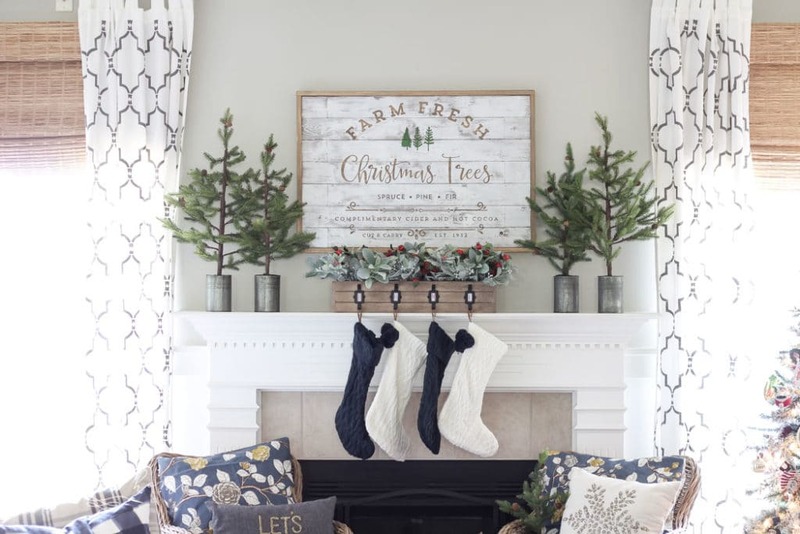 The natural textures and colors from nature bring out the cozy holiday spirit in this Christmas Tree Farm inspired Christmas mantel. 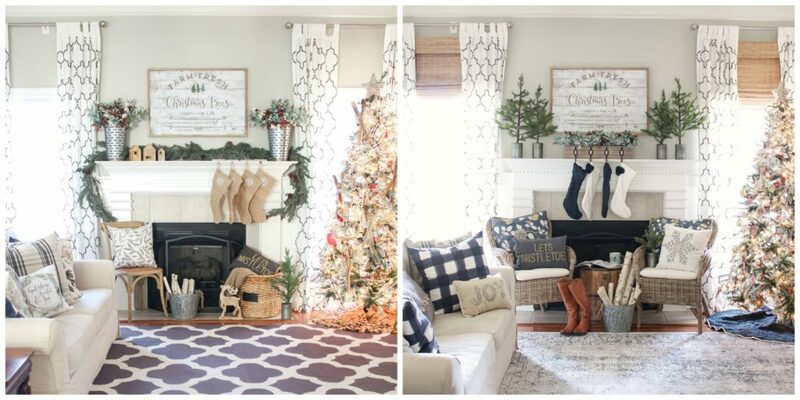 Every year I wonder if I can create a new mantel look that I love. See, I look at that view daily for as long as it’s up, so I want to make sure I love it. And to be honest, some seasons I feel like I fall short of my vision. I don’t want you to think I always love everything I decorate. 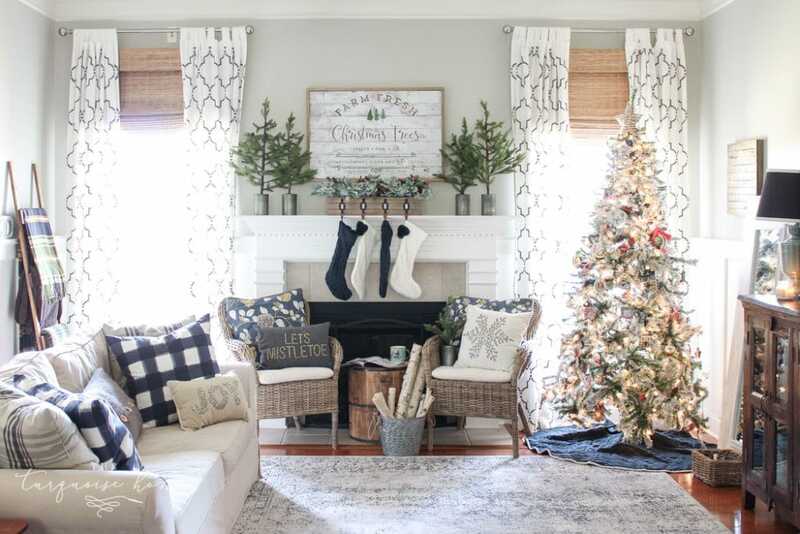 But this year I really do love, love, love this look with navy and green and lots of greenery, trees and the nod to the Christmas Tree farm. The trees to the left and right of the sign were on my wish list this season as they sold out before I could find them last year. I believe they may be sold out again already, so try to find them in the stores and if not, be ready to snag them earlier next year. I was so thankful they brought them back in stock this season! 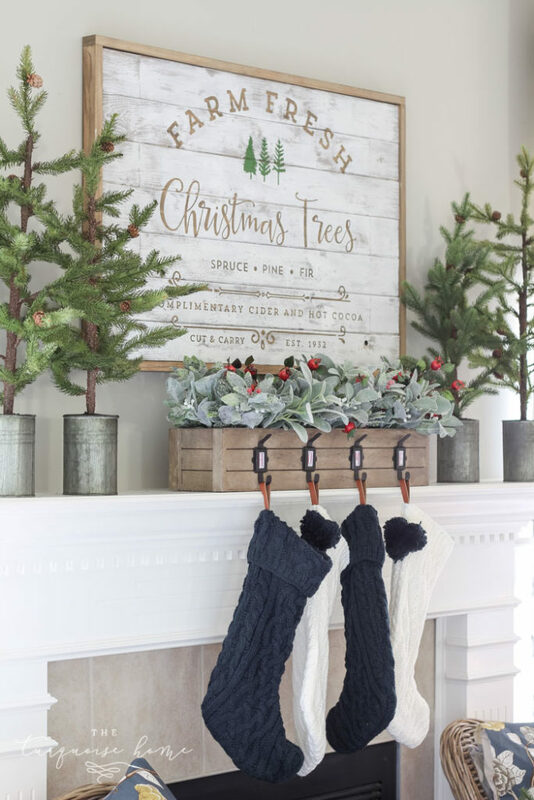 I fell in love with this planter stocking holder that I found early on in the season. 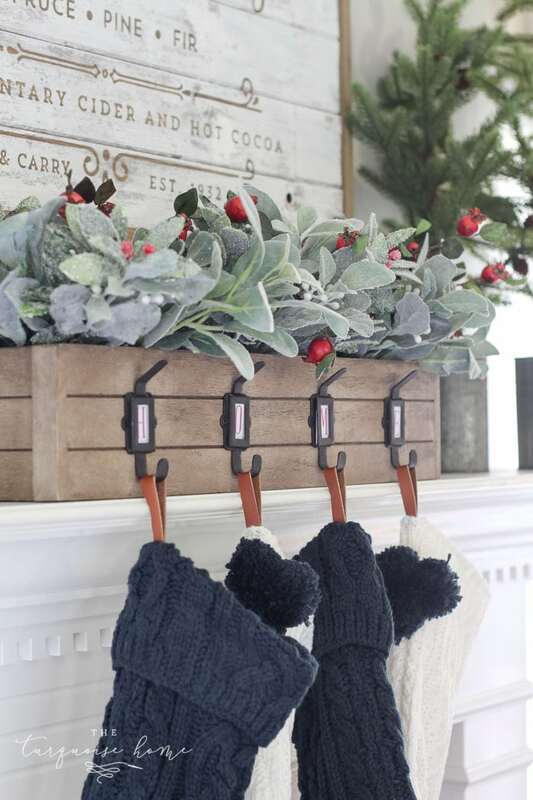 I seriously considered making my own planter stocking holder. I mean, I’ve already made a planter box very similar (here), but I knew it wouldn’t be exact and I really liked all of the details of the one in the store. So, I waited until it went on sale and snatched it up! Online the labels on the hooks spelled “HOME,” but they didn’t come with that. So, I printed out the word in the font Abraham Lincoln and put it at size 100, then voila! I had the perfectly sized letters to go in the stocking holders. Another thing that caught my attention this year was the difference between this year’s mantel and last year’s. Of course the decor is changed up a bit, but we also added bamboo blinds and some new chairs! The rug is new, too. We also changed out the ceiling fan in the living room, but I’m hard pressed to find a picture of the old one because I hated getting it in pictures. So, it feels like this room came a long way this year with new blinds, ceiling fan, rug and some new chairs. I have some other ideas for the fireplace tile and we still need a coffee table, but we made progress this year! And I’m happy for that! I’m pretty happy with how this spot turned out. I kept it simple and didn’t go over the top with photo shoot props like wrapped Christmas gifts. Cause lord knows I haven’t hardly bought a single gift yet! Also, if you look at this last wide room shot, you’ll notice a basket at the bottom of the mirror. That’s my 3-year-old’s ornament basket where she plays with the ornaments on the bottom of the tree throughout the day. I think she thinks it’s her own personal dollhouse tree. Such is this season of life! This is why I put all of the non-breakable, kiddie ornaments on the bottom of our tree. Ha! 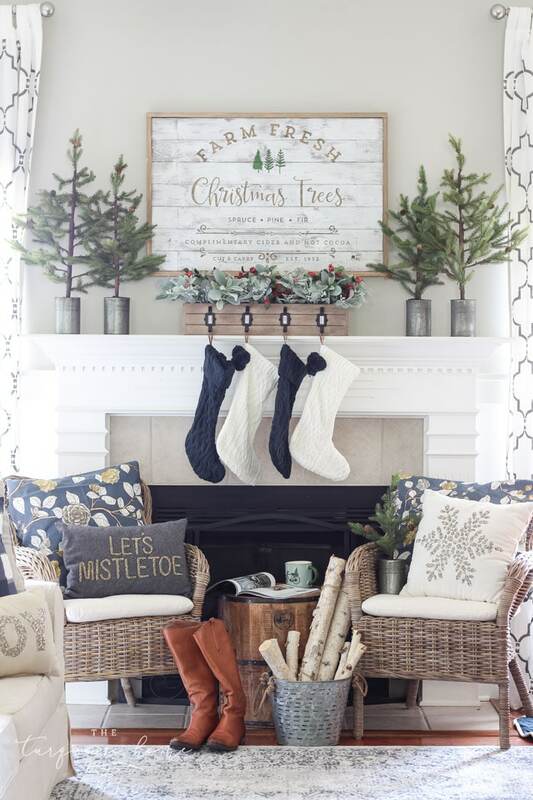 Such a gorgeous mantel, Laura! I love your DIY sign. And it’s so fun to be able to look back and see changes from previous years. Hope you’re having a great week! I love this Christmassy room. Congratulations!! Love the changes you made; the room is stunning! I can’t see a link on this page to follow you. Would you p,ease tell me how to do that? So beautiful, I adore that sign! So pretty, I love the tree farm theme! Hi Jaunita, which picture would you like in reverse? It’s so pretty, Laura! 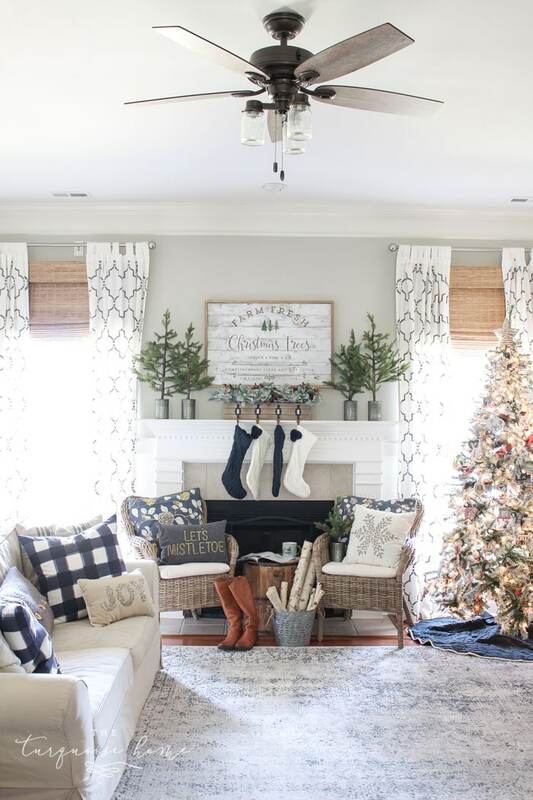 I love the navy and green together and your mantel is just gorgeous! I’m obsessed with those stockings are the sign is gorgeous. 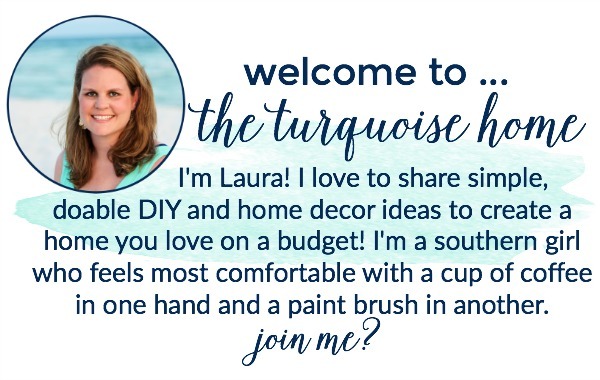 I love the blue, of course, and how you pulled your mantel together, stunning as always! 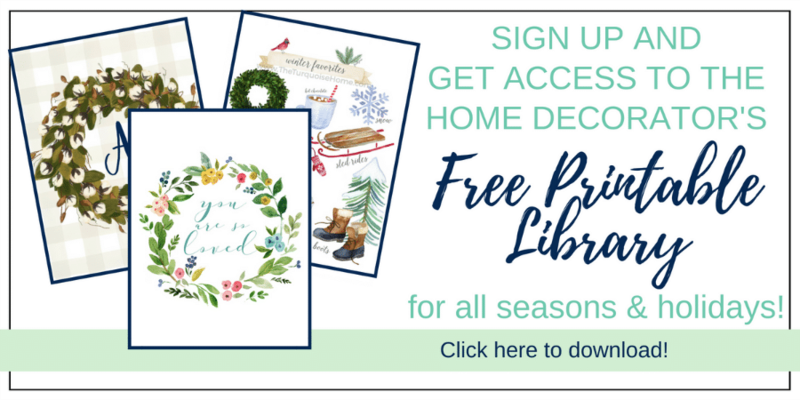 Thank you for being a part of the blog hop. 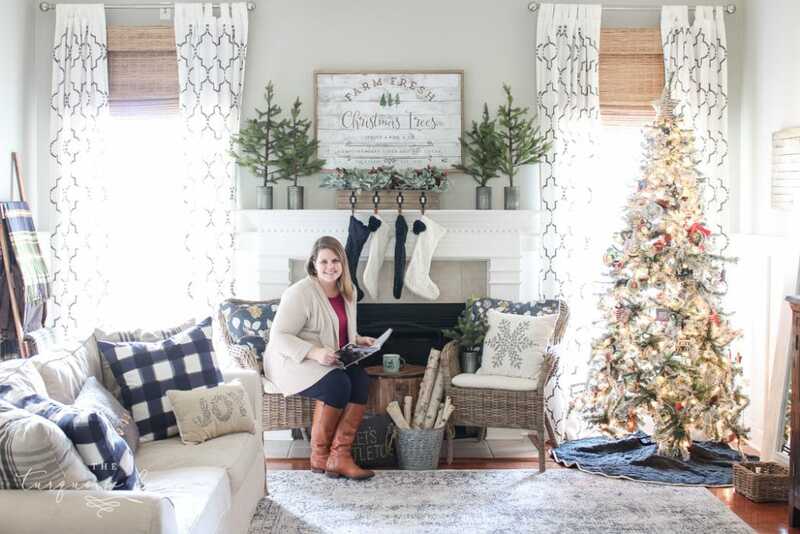 Love, love your mantle this year Laura, it right up my ally. The room looks gorgeous! Merry Christmas. I LOVE that sign! You need to do a tutorial! Love it! 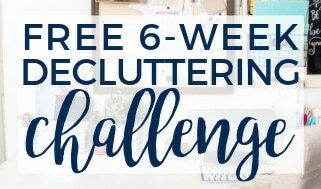 Awesome ideas especially the basket with the kid friendly ornaments. I’m hosting this year with my little niece and nephew and haven’t had to do kid friendly Christmas in a long time so I might have been freaking out a little.